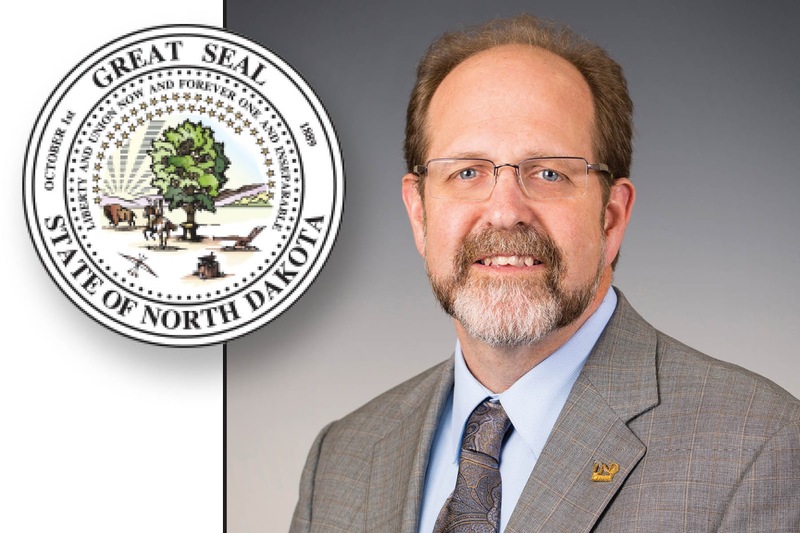 EERC CEO Thomas Erickson has been named to North Dakota Governor Doug Burgum’s Task Force on Higher Education Governance. The 15-member Task Force was created by executive order last month and consists of the governor as chair and 14 members appointed by the Governor. Burgum appointed the members from a pool of more than 230 applicants. 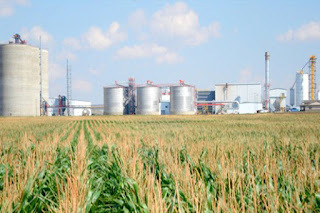 GRAND FORKS, N.D. – Last year, Red Trail Energy, LLC (RTE) and the University of North Dakota (UND) Energy & Environmental Research Center (EERC) began investigating carbon capture, utilization, and storage (CCUS) technology as a way to reduce the carbon dioxide emissions associated with ethanol production with the support of the North Dakota Industrial Commission (NDIC) and the U.S. Department of Energy (DOE). The EERC has recently been awarded $345,000 of North Dakota Renewable Energy Program funding by NDIC to continue this important research. Reducing emissions enables energy producers to sell ethanol to states that have low-carbon fuel programs, such as California. CCUS technology captures and permanently stores carbon dioxide emissions. “We are very excited to continue working with the EERC to investigate CCUS as an economical option for meeting low-carbon fuel program markets in other states,” said Gerald Bachmeier, RTE Chief Executive Officer. The current phase of the project builds on previous EERC work, which looked at the potential for integrating CCUS with ethanol production. Using the RTE ethanol facility in Richardton, North Dakota, as a case study, EERC research successfully demonstrated both technical and economic feasibility of CCUS technology with ethanol production. This phase will further refine the technical requirements and related economic considerations for commercially successful CCUS implementation. “North Dakota ethanol producers are well-situated for this opportunity because there is significant production capacity and excellent geology for carbon storage,” said project manager Kerryanne Leroux, EERC Senior Chemical Engineer and Oilfield Operations Team Lead. “Continuation of the project will confirm regulatory requirements which inform decisions on the technical and financial needs of a commercially viable CCUS effort,” she stated. North Dakota’s Renewable Energy Program is overseen by NDIC, which consists of Governor Doug Burgum (Chairman), Attorney General Wayne Stenehjem, and Agriculture Commissioner Doug Goehring. DOE also continues as a supporting project partner. Work will begin as soon as contracts are finalized and will run through the summer of 2018. James Nadeau is a Research Instrument Technician at the EERC, where he installs, calibrates, maintains, repairs, and operates instruments and equipment used in research and testing for clients and research projects. He also assists with test programs, adapts equipment for nonstandard applications, and develops new sampling technologies. He holds an Instrumentation and Control degree from Bismarck State College. James said he was always interested in electronics as a kid and throughout high school, and he also wanted to work in an industrial environment like others in his family. Although he has not been working at the EERC for very long, James is looking forward to the variety of projects he’ll be working on. One of the aspects of his work that really intrigues him, he said, is the problem solving that is often needed to overcome obstacles with the operation of equipment and instrumentation in such a wide variety of projects. Originally from Dunseith, James likes living in Grand Forks since it’s fairly close to home and many of his friends live here. “I do a lot of hunting, hanging out with friends, and—although I haven’t played since high school—I’m trying to get back into golfing,” he said. 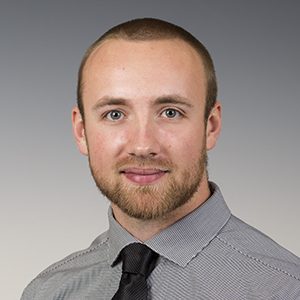 The EERC is pleased to welcome Tyler Newman as a Research Engineer. Tyler’s work focuses on designing, fabricating, and operating new or developing value-added technologies, particularly in the area of carbon capture. His expertise and interests include design, modeling, and fabrication of experimental equipment and machine components, gasification and combustion technology, and fluid power systems. Tyler holds a B.S. degree in Mechanical Engineering from UND. 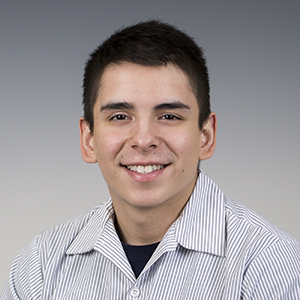 As a student employee, Tyler worked at the EERC assisting in a laboratory, creating piping and instrumentation diagrams, and preparing shop drawings for fabrication of equipment. Prior to his position at the EERC, he served as a Mechanical Engineer at Odra, LLC. “I’ve wanted to be a mechanical engineer since I was young, as far back as I can remember, and never considered anything else. I toured the EERC when I was in middle or high school, but it wasn’t until I started working here as a student that I could really see and understand what people were working toward. 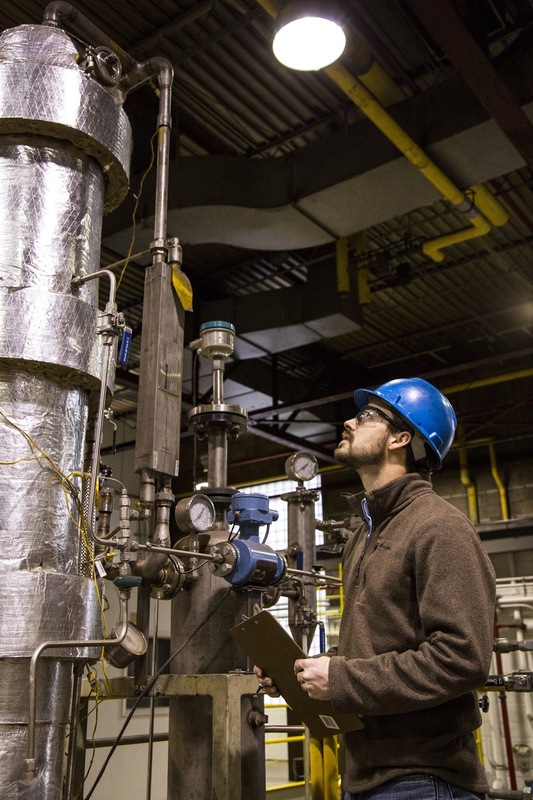 That’s when I became interested in energy research,” said Tyler. A native of Grand Forks, Tyler has many hobbies, including endurance sports like ultrarunning, mountain biking, and off-road triathlons and enjoys hunting and fishing. Tyler likes continually learning new things, so it is perhaps not surprising that he is an avid podcast listener. He also works with 3-D printing, has some computer programming and computer vision experience, and plans to become more proficient in all of those. 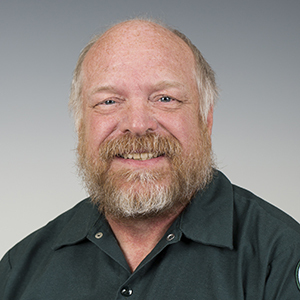 The EERC is happy to announce that Tim Marynik has accepted the position of Building Services Technician Team Lead. In this position, Tim oversees the training, scheduling, and administrative aspects of the EERC’s Building Services team and their work, which includes cleaning and maintaining the EERC building complex. Tim comes to the EERC from UND’s Facilities Department, where he was a Building Services Technician Lead for UND’s academic side. Prior to that position, he was a Building Services Technician at UND. Tim first worked at UND as a Bindery Specialist at the Printing Center after earning a certificate in Graphic Arts from the North Dakota State College of Science, a field he chose because there was something new every day. Tim has lived in Grand Forks his entire life except for the 4 years he spent in the Marine Corps. Tim and his girlfriend enjoy camping in many places, but a favorite camping spot is in Ackley, Minnesota. They also like going to rock and country music concerts, especially outdoor concerts. 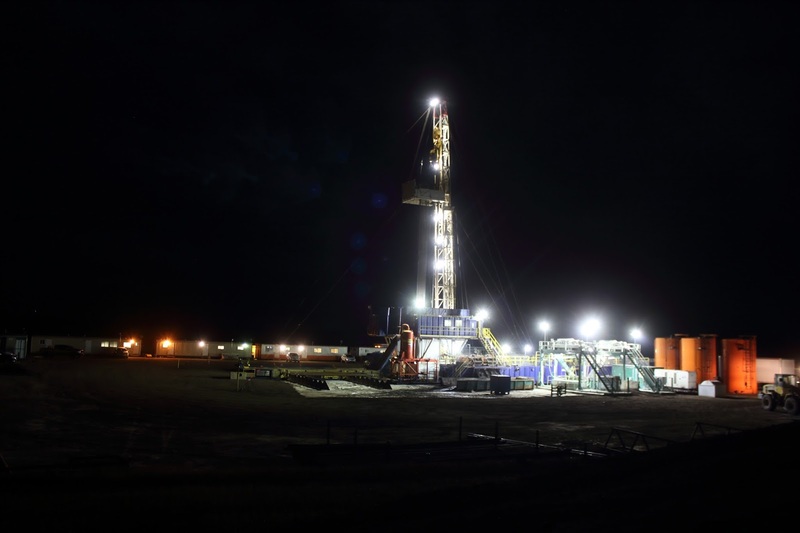 The North Dakota CarbonSAFE project has received significant attention lately from media outlets across the state. The project is looking at the feasibility of permanently storing carbon dioxide deep underground after capturing it from stationary sources. Catch up on the news regarding CarbonSAFE using the links below. EERC's Wes Peck Discusses CarbonSAFE on "Energy Matters"
EERC's Wes Peck Discusses CarbonSAFE on "What's on Your Mind"
Lignite Energy Council's "Why Is There a Drilling Rig in the Middle of Coal Country?" The North Dakota CarbonSAFE project is led by the EERC at the University of North Dakota. Partners include the U.S. Department of Energy, the North Dakota Industrial Commission's Lignite Research Program, Basin Electric Power Cooperative, Minnkota Power Cooperative, ALLETE Clean Energy, BNI Energy, and the North American Coal Corporation. Visit the North Dakota CarbonSAFE website for more information. North Dakota Governor Doug Burgum recently partnered with Montana, Wyoming, and Saskatchewan to advance carbon capture research. 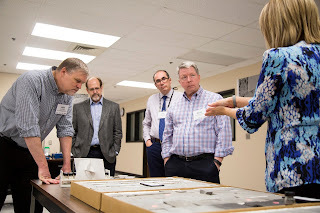 The EERC has been working on carbon capture, utilization, and storage (CCUS) technology for decades and has several current projects that continually contribute to innovation in CCUS. The EERC is a global leader in advancing technology that supports an all-of-the-above approach to energy production. "We're proud to be a part of the collective expertise referenced by Governor Burgum," said Tom Erickson, EERC CEO. "Developing effective and financially realistic CCUS technology is critical for our state and our nation." Contact the EERC for more information on how our research can bring value-added solutions to your organization. This article is the second in a series about women in STEM at the EERC. View the first article here. Imposter Syndrome. Tightrope Walk. Isolation. These reoccurring themes follow women in science, technology, engineering, and math (STEM) fields. So what keeps women going? How do they persist through obstacles to maintain and advance their careers in fields dominated by men? The answer to this question isn’t simple, as anecdotal and statistical evidence shows many factors influence the number of women in the STEM workforce. According to the U.S. Census Bureau, nearly one in three adults holds a bachelor’s degree or higher. The National Science Foundation reports that 57.3% of bachelor’s degrees in all fields in 2013 were earned by women. While college degree attainment rates are higher for females, that is not the case within the STEM fields. Women earn only 17.9% of the degrees awarded in computer science, 19.3% in engineering, 39% in physical sciences, and 43.1% in mathematics. Data from the Society of Women Engineers state that while 19% of engineering school graduates are female, they represent only 11% of practicing engineers. One in four female engineers leaves the field after age 30, compared to only one in ten male engineers. The plethora of reasons for this difference include family considerations, work environment, and societal bias. 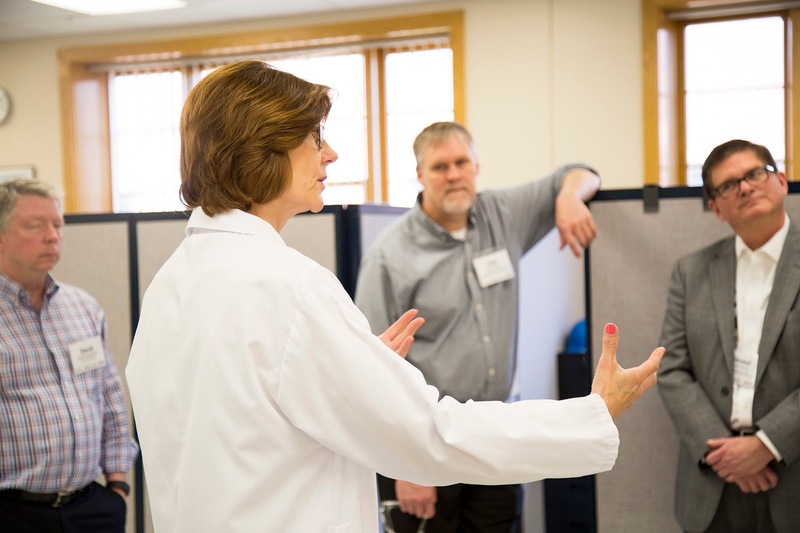 Female scientists and engineers at the Energy & Environmental Research Center (EERC) shared their thoughts on this disparity and factors that contribute to their persistence in their male-dominated fields. Approximately 60% of the EERC’s full-time workforce is in a STEM field, 17% of those are female. Several of them credit the EERC’s organizational culture and family-like atmosphere as a factor in staying in their fields. Efforts to increase the number of females in STEM fields have largely been focused on workforce pipeline initiatives (such as introducing STEM career options to female elementary students), but some research shows that an overall gender bias in society or organizations is a big culprit that isn’t being addressed appropriately or enough. While this may be a factor in general, these female scientists and engineers say their experiences at the EERC have been positive in this regard. “Any experiences I’ve had with regard to feeling discriminated against because of my gender have come from outside of the EERC,” says Leroux. Supervisors and mentors also get a lot of credit for creating an environment in which females can thrive in their careers. Collectively, these women agreed that their supervisors provide solid mentoring and support. With a diverse workforce, it’s important for supervisors to help their employees relate to each other as teammates. Supervisors at the EERC come out on top in this regard – all with high marks from their female employees on supporting them through issues and educating teammates on the different issues women face in their careers. “If we’re supervisors or mentors ourselves, we have to walk a fine line. Because of the disparity between men and women in our fields, there aren’t a lot of female mentors who show the same confidence that the male ones do,” says Leroux. All of these experiences, both positive and negative, keep these women going day to day in their fields. In the face of social stigmas and fewer examples of women in STEM fields, they thrive in their careers at the EERC. All of them are now proud to be examples of successful women in STEM careers for girls today. Article written by Nikki Massmann. Photos by Kari Suedel.